“‘All That For What’ is a collection of conflict. Self-reflection and self- refraction. It’s a time capsule of a state of mind, and a state of being. Misunderstanding, the journey of understanding, and the delivery of being understood.” Following the release of her debut single ‘Tricks’ in July 2016, Annabel received early support from the online community and airplay on the likes of BBC 6 Music and Radio X, whilst her original look and self-styling has already lead to endorsements from Bastian Classics, Cheap Monday and various other indie clothing brands. Recent singles ‘Rich Backgrounds’ and ‘Eat Greens’ took further hold of tastemaker attention, providing a platform from which she delivered several highly acclaimed SXSW sets this March, as well as spins from Huw Stephens on Radio 1. 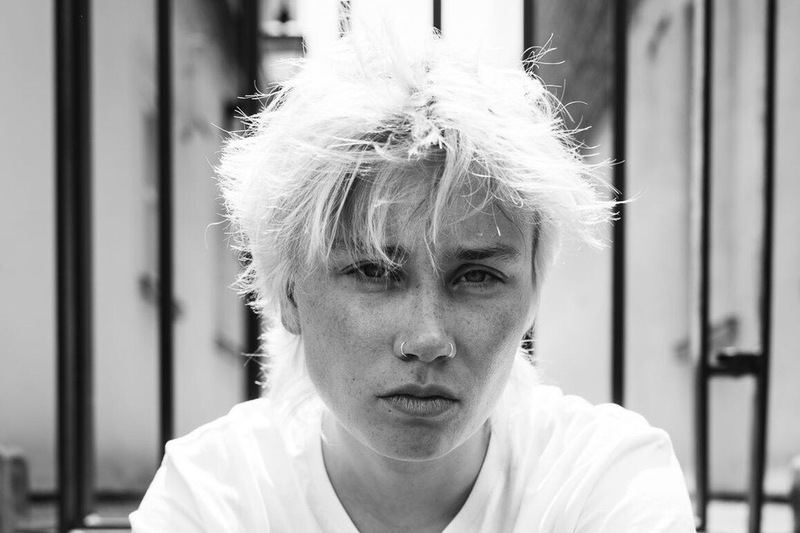 Annabel’s live reputation continues to grow, having performed at The Great Escape and Live at Leeds, and currently finds herself gracing stages across Europe and the UK supporting Beth Ditto, and a UK support tour with Michael Malarkey is forthcoming in October. Produced by Adrian Hall (Goldfrapp, Du Blonde, Anna Calvi) Annabel Allum’s ‘All That For What’ EP is out now on all platforms.